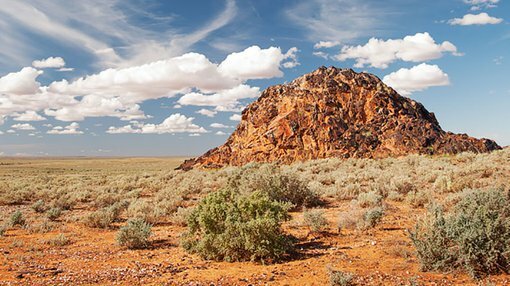 Carpentaria Exploration Ltd (ASX:CAP) is ready for a Bankable Feasibility Study (BFS) at its flagship Hawsons Iron Project after achieving a 20% reduction in cost estimates for its supply and export chain. The recent study presents CAP as a high potential, low cost producer of high-grade iron concentrate for Asian steelmakers seeking higher quality products. CAP is focused on developing the Hawsons project near Broken Hill as the basis of a long life, low cost premium iron business. 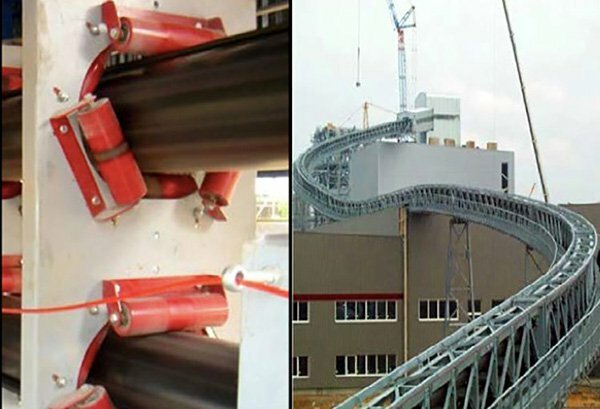 Steelmakers are increasingly seeking high quality, low impurity iron products to increase quality, boost efficiency and curb pollution, giving the project a growing market for its high-quality iron products. The high-grade magnetite ores at Hawsons have been found to be unusually soft with unusually low energy usage, meaning it can be produced at significantly lower costs than rival producers. Metallurgical test work has also shown CAP’s soft ores can produce a +70% Fe product in bulk, which could attract significant premiums from steel makers and set Hawsons apart from other projects as a low cost, high-grade producer. CAP’s Hawsons Iron Project has a world class ore body with a JORC resource of 1.8 billion tonnes of magnetite ore at 15% mass recovery for 263Mt of 69.7% Fe, 2.9% SiO2 concentrate. CAP is planning to create a working mine and processing facility that can deliver 10Mtpa of highest quality iron ore concentrate of over 70%Fe, less than 2.0% SiO2 +Al2O3 and 0.004% P and similar high grade pellets. The company is targeting an all in FOB cost range of $39-47 USD/t for a plus 70% Fe concentrate product. The resource is homogenous and CAP says there is the potential to extend its size through further exploration. All aspects of the Pre-Feasibility Study are now complete, and CAP says it’s now “BFS ready” on all fronts. The 1.8 billion tonne JORC resource that CAP controls is large enough to support an operation of more than 100 years. The project is surrounded by high quality, modern infrastructure with a combined value of over $1BN including an electrical grid and railway lines connecting to the export point of Port Pirie. This is a boon for CAP, which is seeking to create a low-cost yet high-yield operation. Drawing on this infrastructure, CAP can concentrate instead on mining and production rather than transport issues. The key to CAP’s plan is to capitalise on the rising demand for its products around the world, particularly the high-grade products found in abundance at the Hawsons Iron Project. The aim of the PFS was to prove that CAP can produce very high quality high-grade pellet feed and pellets, and to support this, the company conducted extensive metallurgical test work. This testing showed that the ore at Hawsons is unusually soft, providing industry low grinding costs, which is the major cost component of magnetite mines. CAP estimates that it can grind its magnetite ore for as low as US$8 a tonne, far below the typical industry range of between US$15 and US$35 a tonne. The company’s soft and easily ground ores also allow the opportunity for CAP to produce much purer concentrates compared to rival projects. CAP is planning to make iron ore concentrate and pellets from its world-class resource at Hawsons, and use these products to target the high-grade blast furnace and direct reduction markets for steelmaking. The high quality of the pellets CAP anticipates it can produce could allow it to deliver into the worldwide market for the product, which has a limited supply, yet steady demand. 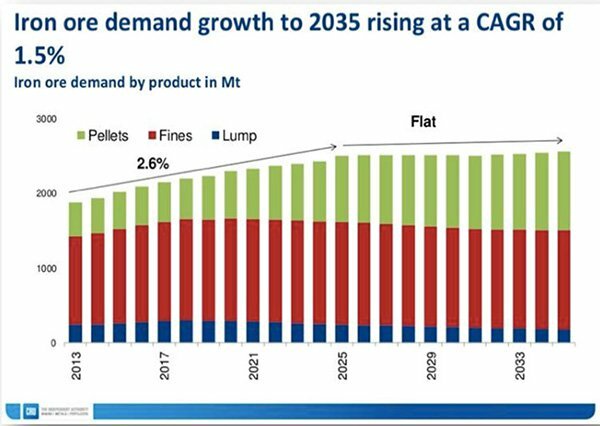 Global pellet demand is predicted to rise to 90Mtpa by 2020, and 200-400Mtpa by 2030 – and when CAP brings its 10Mtpa operation on stream it will be able to carve a niche within the high value market. 65% Fe pellets attract a $30-35/t premium to the base 62%Fe fines prices and CAP expects even higher prices for its low cost yet high grade +70% Fe product, which is typically expensive to produce and is much sought after by steelmakers. With its iron magnetite resource ready to mine, and the market lined up for its future products, CAP is accelerating towards a Bankable Feasibility Study (BFS) for its 10Mtpa operation at the Hawsons Iron Project. A key part of its preparation for this milestone is to find out what sort of operating and profit margins it could have. Together with Port Pirie’s operator Flinders Ports, CAP paid for a supply chain Pre-Feasibility Study that assessed the costs of exporting through the port. It found that CAP can achieve a further 20% cost reduction in its initial estimates, going down from US$16 a tonne to US$13 a tonne. The results also demonstrate a 20Mtpa export facility is both technically and economically feasible. The Port Pirie Iron Ore Export Facility Pre-Feasibility Study Report produced by GHD investigated rail unloading, product storage, transfer to existing berths, barge loading and delivery to cape size vessels in the Spencer Gulf. CAP’s Managing Director, Quentin Hill, says the study brings increased certainty to the project and boosts its prospects for development. “The substantial reduction in the transport cost assumption of USD$3/t is also very significant, potentially increasing our competitiveness and boosting the prospects of development,” he says. In another development, CAP has confirmed it can draw all necessary electrical power from the existing grid around the Hawsons Iron Project. A Feasibility Study Report by the network owner TransGrid found that the existing poles and wires, plus the introduction of new voltage support, substation augmentation and communication systems can more than support the delivery of the 120MW required by the project, which is located only 35km from the existing power line servicing the city of Broken Hill. Furthermore, additional studies have been proposed that may identify areas to optimise the connection arrangements and lower the costs, accelerating the work timetable. CAP has identified a range of markets for Hawsons’ unique, high quality processed iron products, including high-grade blast furnace pellet and pellet feed markets in China, Japan and South Korea, as well as demand for direct reduction pellet feed in the Middle East, India and Southeast Asia. “Hawsons has significant advantages, with a clear and achievable project pathway. By targeting a growing and undersupplied premium market, we are on track to build a long life and low cost premium iron business,” Mr Hill said.